Capitol Dentistry has a team of dentists who are dedicated to your smile! 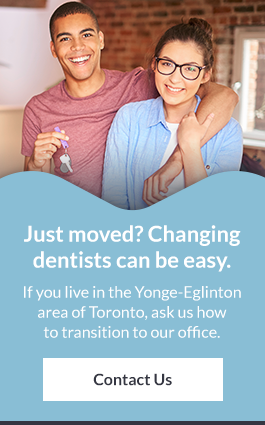 If you live or work in North Toronto close to Yonge-Eglinton, one of our dentists would be happy to meet with you to discuss your oral health options. Dr. Phil believes in keeping things simple and being clear. A huge proponent of education and communication – he takes the time to explain treatment plans in a way that patients can understand, so that you feel comfortable and informed about next steps. All of which puts patients at ease. It works. When Dr. Phil isn’t making healthy smiles, he’s out bodybuilding, weight-lifting, playing volleyball or running. He also manages to work out his ‘right brain’ by dabbling in painting and drawing. Dr. Anderson graduated from the Schulich school of Medicine and Dentistry at the University of Western Ontario. And while he won’t admit it – he was the top student in his class all 4 years. He is passionate about reconstructive and cosmetic dental work. Dr. Lee completed her general practice residency at Boston University School of Dental Medicine in 2009. Dr. Lee will sit down and talk with you about your smile, what changes you'd like to consider, and what you'd like the outcome to be. She would be happy to review the whole range of treatment options available to you and looks forward to meeting you soon.